What is a Sliding French Door? What is a Sliding French Door? Sliding French Patio Doors – A Buyers Guide? Sliding French doors are an elegant and space-saving solution for people who are looking to welcome more light into their home. Because of their stylish and individual design, you can also enjoy enhanced energy efficiency and make your home seem more inviting. Let’s find out more about French patio doors and their special appeal. 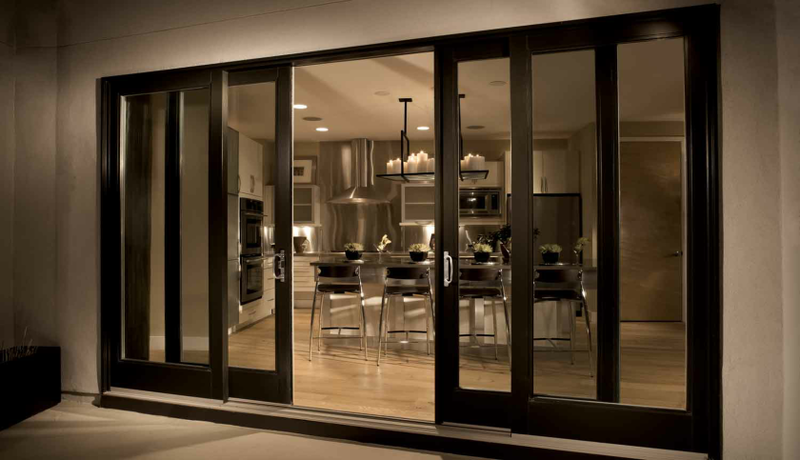 What is an External Sliding French Door? Before discussing external sliding French doors, let’s start by learning a bit more about French doors altogether. A French door is a light construction featuring small mullioned glass panes for most of its length and width. For this reason, smaller versions are also commonly known as French windows. The only difference between a French Door or windows is the use to which they are put – one is just smaller than the other. The key feature of a French door or window is that it’s a matched pair of windows or doors that open from the middle – either inward or outward. The attraction to many homeowners, apart from the function, is the appearance. The style of having many smaller individual glazed panels within the frame give French doors their classic styling. When it comes to sliding versions, it’s the look and the double opening from the centre feature, not the “swing out or in” functionality, that people want to retain. French doors fall into two categories: indoor and external. As the name suggests, an exterior French door is used to connect the inside of your home to the patio or exterior. A regular exterior or interior version opens just as any traditional door. However, modern designs feature sliding capabilities which have added even more value to this much loved design. An external sliding French door may look like a regular installation when closed, but the difference lies in its opening mechanism. With a sliding door, you gain a different functionality while still enjoying the same elegance of appearance you’re used to with regular French doors. What Are the Main Design Features of External French Patio Doors? In order to use an inline sliding version, you will need room for 4 panels so that the 2 centre panels can slide to the sides and be out of the way. Ideally, the panels would need to be all the same width so that when the centre sections are opened they leave a decent sized exit / entryway. If the 2 side panels are significantly smaller than the door panels then you will not have so much space to walk through. Construction Material – As with other residential doors and windows, there are choices for a sliding french door. UPVC: As a naturally good insulator that is easy to produce and make into windows & doors, uPVC is widely used for patio doors. Larger doors will need to have steel reinforced upvc profiles to give the required rigidity to the framework. Appearance wise, there are around 15 to 20 different uPVC colours in the market with surface finishes that are “wood-grained”. The colours are permanent, non-fading & non peeling. Price wise, they would tend to be somewhere in the middle. 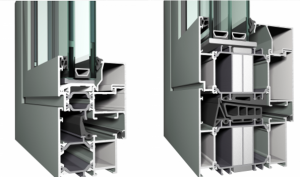 Aluminium: This material has better structural strength than uPVC, and as such does not need reinforcing. That translates into allowing the designs to use thinner frames, keeping the visuals “neater”. However, aluminium is a good conductor and so you need to ensure the frames have an effective “thermal break” that is reliable and long lasting. These doors also come in many different colours, with over 100 + powder coat finishes, including wood-grain. Price wise, they would tend to be at the top-end. Timber. Wood doors can be solid hardwood or softwood cores with hardwood veneers (surfaces). As you would expect, the solid hardwood versions are more expensive than the veneers. Wood is a natural insulator and so does not need the same thermal breaks as aluminium and the strength of some hardwoods can allow for slimline frame designs. Colour is not an issue, as the doors can be painted or stained to any colour you like, either after fitting or at the factory prior to delivery. Price wise, softwood tend to be reasonably prices, with hardwoods at the medium high end. For doors of this nature, unless you have them specially made to physically have individual panes of glass, the two favoured methods of creating the small mullioned window effect, is either to have inserts between the panes of glass in the sealed double glazed units or to overlay a grid onto the surface of the glass. The overlay gives a much more realistic appearance to the door than the inserts in our opinion. 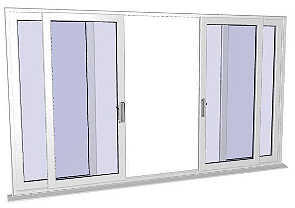 Sliding French Patio Doors come in all sizes and colours, but a four door configuration would need at least 2.9 to 3.0 metres and extend to a maximum width of 4.1 to 4.2 metres. Smaller or larger openings would necessitate more or fewer panels. With a full length sliding glass door such as these, the 3 most important aspects would be, safety, security and energy efficiency. Safety& security: To protect persons against bodily injury, it’s necessary to fit either toughened tempered safety glass or laminate glass. Toughened glass is heat treated so that when it breaks it shatters (just like a car windscreen) into very small, much less dangerous pieces. In fact, in most cases the shattered glass will stay in position within the frame, making it even less of a danger. Laminated glass is effectively a sandwich of glass, with a plastic film as the “filling”. When the glass breaks it stays in position and is perfectly safe. The toughness of both these glasses make them more secure and tough to break in the first place, which is useful to deter, or even stop, intruders from gaining easy entry. Energy efficiency: The standard accepted as the optimum double glazed unit is 16mm. This is made of 2 panes of 4 mm thick glass separated by a 16mm gap, giving an overall thickness of 24mm. 28mm units are slightly more efficient (20mm gap). If the gap gets too wide, it can encourage internal circulation and reduce the performance. Further enhancements can be achieved by the use of low emissivity glass and by filling the gap with an inert gas such as Argon, Xenon or Krypton. Double or triple glazing: One of the qualities of double glazing is that it reduces noise pollution, by upgrading to triple glazing it further increases the ability of the window to deaden sound. However, you will pay a premium for triple glazing. 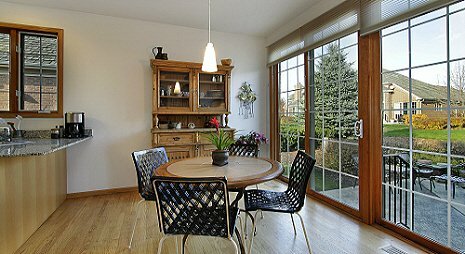 How much do Double Glazed Sliding French Patio Doors cost? External sliding French doors come in all sizes and features and prices vary based on the materials used, their size, the material they’re made of and, of course, the manufacturer. Apart from the price of the door(s), you must also consider the installation costs. A tradesman’s rate per day can go up to £150 and a labourer may charge around £100 per day. 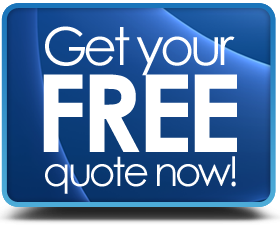 Depending on the size of the project, it may take a couple of days to install your sliding French patio doors, making the cost of using an independent contractor around £250 to £500. Take a look at some information about UPVC French Door Designs.